He’s invested around US$1.2 million into startups including Sproxil, Pass.ng, SimplePay, PushCV and Pledge 51, generally putting between US$25,000 and US$50,000 into each startup per round. He hunts investments through a network that includes universities, incubators, accelerators, companies and a very active social media presence. If you’re a Nigerian startup and you’re looking for funding, Tomi Davies is one of the first guys you should be seeking out. “I am particularly interested in startups that create value by providing solutions to local challenges, which can scale continent-wide and even globally,” Davies tells Disrupt Africa. Networks are important to Davies, and not just his own personal ones. 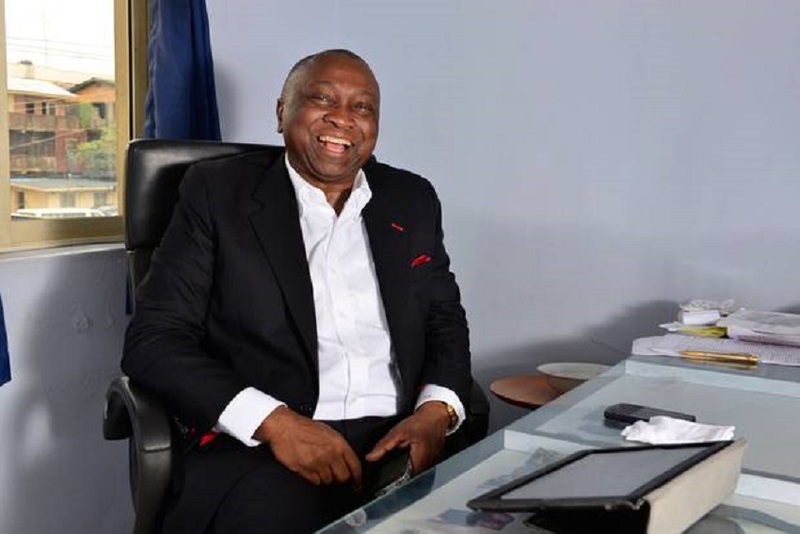 A prominent figure within the Lagos Angels Network (LAN) and the African Business Angels Network (ABAN), of which he is president, he plays a prominent role in supporting early-stage entrepreneurs, and not just with funding. Member-led organisation LAN is committed to finding, funding and mentoring young companies from pitch through to successful exit, with a dozen active members made up of entrepreneurs, CEOs, venture capitalists and business leaders who have founded, funded and built companies in Nigeria and around the world. The network invests in startups to the tune of between NGN500,000 (US$2,500) and NGN5 million (US$25,000). ABAN, on the other hand, is a pan-African non-profit association founded by LAN, Cameroon Angels Network (CAN), Ghana Angel Investor Network (GAIN), the European Business Angels Network (EBAN), VC4Africa and Silicon Cape. “In the interest to connect these African networks, support new investors and new networks, to maximise their impact and to connect African investors to their global counterparts, there is a need to establish a pan-African association of angel investor networks and other early stage investors,” Davies says. These networks are springing up in the first place because of the promise the African startup sector is showing and the growth of investor interest in the region, especially in the tech-enabled sectors. Davies says Africa and its entrepreneurs, however, currently lack the education, exposure and structure of their western counterparts when it comes to building successful businesses. “The not-so-investor-friendly policy environment of most African countries is another challenge. The fact that there are a dearth of local investors to provide seed funding, guidance and direction in my opinion is another critical factor hindering the growth of investment. So to accelerate growth we need improvement,” he says. These improvements, Davies believes, must come in three main areas. Firstly, both graduates and non-graduates must be given access to entrepreneurial education “in ways that make them result-oriented and not theoretical”. He also calls for the development of early-stage funding and support for businesses in the form of angel syndicates, networks, incubators and accelerators. “This is already happening with the advent of some of the organisations I mentioned earlier but much, much more is required,” he says. Finally, Davies believes government policies are needed to support early-stage investors and entrepreneurs, including tax breaks, low-cost funds and cheap infrastructure resources. “There is very little of this happening at the moment with countries like South Africa, Kenya, Ghana and Nigeria leading the way,” he says. Disrupt Africa claimed earlier this year that the “age of African VC” had arrived, born out my recently by mega deals involving Hotels.ng, Weza Tele and WooThemes. Davies says it is indisputable that investor interest is growing. “Add to that the fact that there is an increasing demand by patient capital from the west – and also the east in some cases – to find higher yields than the sub-five per cent coming out of Euro-Asia in the last few years,” he says.